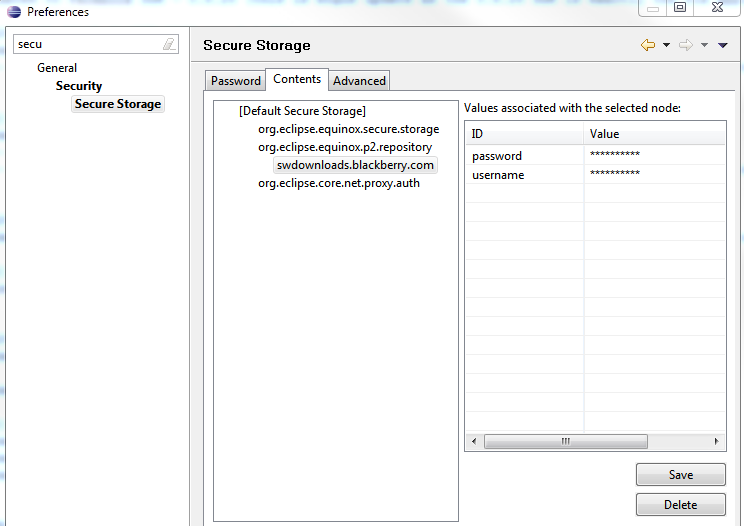 Type secure, drill down to find the org.eclipse.equinox.p2.repository, expand this, and you will see the swdownloads.blackberry.com. Select this entry and delete it. This should resolve the issue next time you try to update/install the plugin you should be asked again for your credentials to the BlackBerry developer portal and once you put them in the installation should proceed normally.